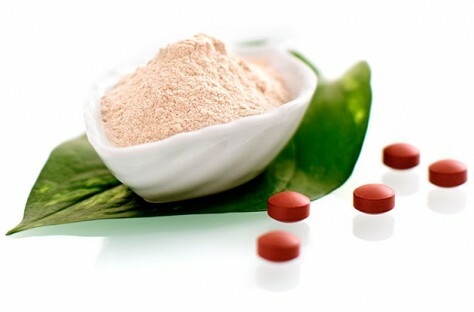 Lallemand offers a complete range of natural yeast-based health ingredients that vary in micronutrientsMicronutrients are nutrients that are required in ... More and bioactive compounds. Our Lalmin®, Engevita®, and Yesto-Seal® (100% whole-cell Saccharomyces cerevisiaeSaccharomyces cerevisiae is the name of a strain o... More) yeastYeast is a unicellular fungus that can convert sug... More products complement one another to help you create the nutritional profile you require for your dietary supplements. Our nutritional yeasts are produced by converting and/or enhancing the yeasts’ natural endogenous micronutrientsMicronutrients are nutrients that are required in ... More to attain measurable levels of vitaminsVitamins are a type of organic micronutrient that ... More and/or mineralsMinerals are elements that originate in the earth ... More. These ensure the yeasts’ dosage of essential micronutrientsMicronutrients are nutrients that are required in ... More, so Lallemand’s nutritional yeasts can contribute significant amounts of bioavailable micronutrientsMicronutrients are nutrients that are required in ... More essential for optimal nutrition.